Be sure to check out Emily’s other beauty and makeup video tutorials for more inspiration too. Find Emily’s inspirational beauty and fashion blog at www.emilyquak.com. Emily rotates between a few different hair treatments, depending on what look she is going for and one of her picks is Macadamia Natural Oil Nourishing Leave In Cream. 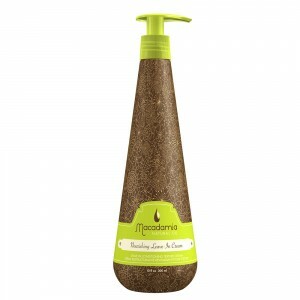 Emily recommends Macadamia Natural Oil Nourishing Leave In Cream for normal to thick hair. We love Macadamia Natural Oil Nourishing Leave In Cream too as it’s a super defrizzer and wonderful at adding silky softness, shine and UV protection. A detangler that protects from thermal styling and moisturises. When Emily styles her hair, she uses Macadamia Natural Oil No Tangle Pre-Styler. 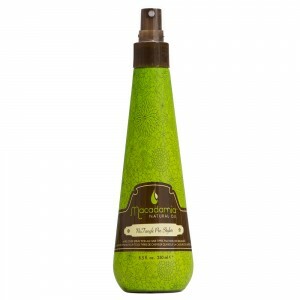 Macadamia Natural Oil No Tangle Pre-Styler is a thermal protectant which also eliminates tangles and protects against environmental stressors. Emily says Macadamia Natural Oil No Tangle Pre-Styler is “quite lightweight” and there’s no need to worry about your hair becoming greasy or weighed down. A hair reconstructor for dry, damaged hair. Emily’s favourite hair masque is Macadamia Natural Oil Deep Repair Masque. Emily uses the Macadamia Natural Oil Deep Repair Masque once a week and finds it leaves her hair softer and very much more manageable, particularly in regards to frizz and tangles. Emily also notes that Macadamia Natural Oil Deep Repair Masque smells amazing! 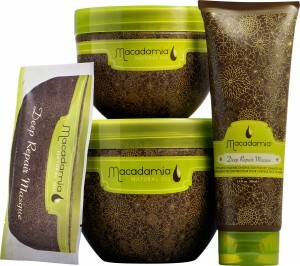 Do you have a favourite Macadamia Natural Oil hair care product you can’t live without? Are you as excited about the range as Emily? Leave us a reply below, we’d love to hear from you.